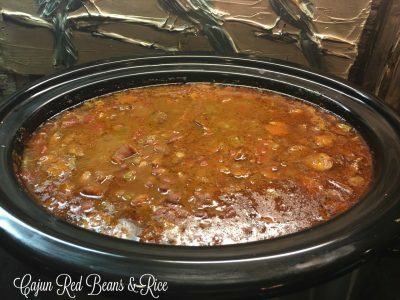 This Creole Red Beans & Rice recipe makes a slow cooker full of rich, hearty, perfectly seasoned Louisiana inspired comfort food that will be a hit at any party. 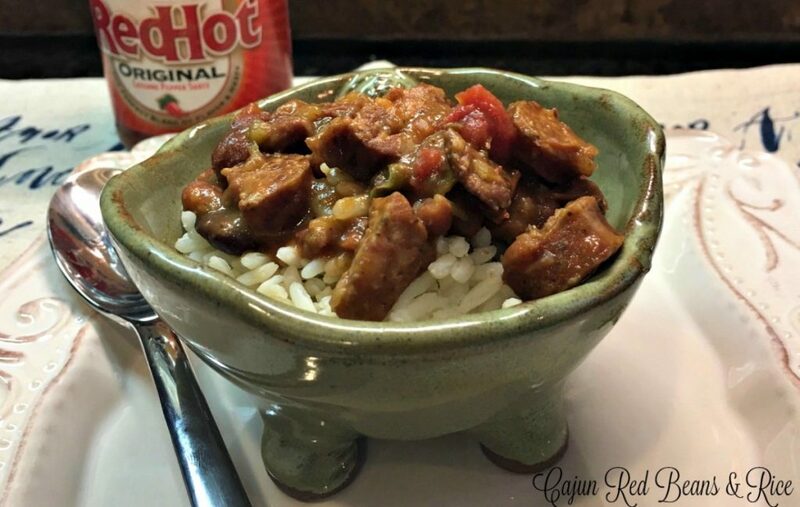 This Creole red beans & rice recipe is SO delicious! I made it for our small group last week, and it was a hit. 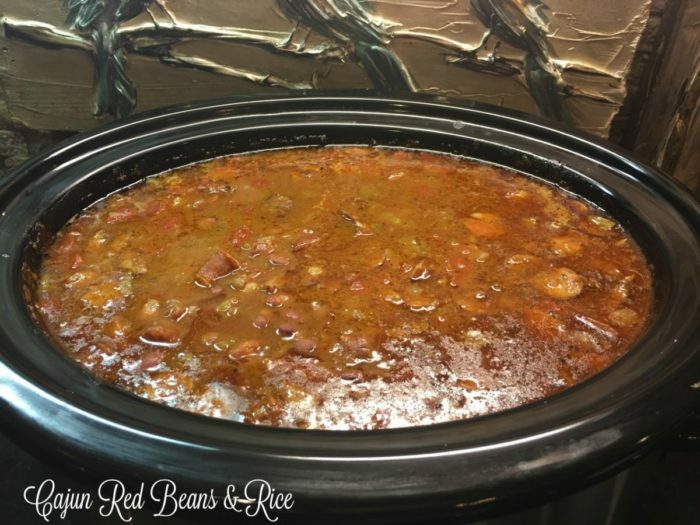 My 6-quart slow cooker was filled to the top with the Cajun red beans, and my rice maker was filled to the top with rice. This helped feed 22 folks~with some going back for seconds. Make ahead: The vegetables can be sauted and seasoned a day ahead and kept in the fridge. The beans can be made a day ahead also, and kept in the broth (refrigerated). The entire red bean mixture actually tastes better the next day, so it can be made completely and reheated the next day before serving. Making in one day: The Instant Pot is a lifesaver if you want to make this start to finish in one day. It will cook the beans in half an hour. While beans cook, all other cooking and prep can be done. Then, the slow cooker does the rest of the work, and the red beans will be ready after 5-7 hours on high. This hearty meal is perfect for game day, a small group, or just for several family meals. It is so good, even my youngest told me she liked it and went back for seconds:-) If you make this, please let me hear how it turns out! As always, thanks so much for stopping by. Be blessed, and stay savvy!!! Place beans, chicken broth & hocks in saucepan or Instant Pot. Cook 25 minutes high pressure IP or until soft on stovetop. Remove from heat; set aside. Heat oil in a heavy frying pan or skillet. Saute diced onion, celery & pepper about 5 minutes, or until soft. Add garlic and saute 1 minute. Add Creole Seasoning, thyme, and oregano; saute 1 minute more. Remove vegetable mixture and place in slow cooker. Saute diced sausage in skillet until fat renders and sausage starts to brown. Add cooked beans & chicken broth to slow cooker (discard hocks). Add sausage w/ pan drippings, Worcestershire, hot sauce, bay leaves, and red wine vinegar; stir to combine. Cook on high for first 2 hours; adjust to low for 4-5 more hours or until beans are breaking apart and broth thickens. When done cooking, adjust slow cooker to warm.